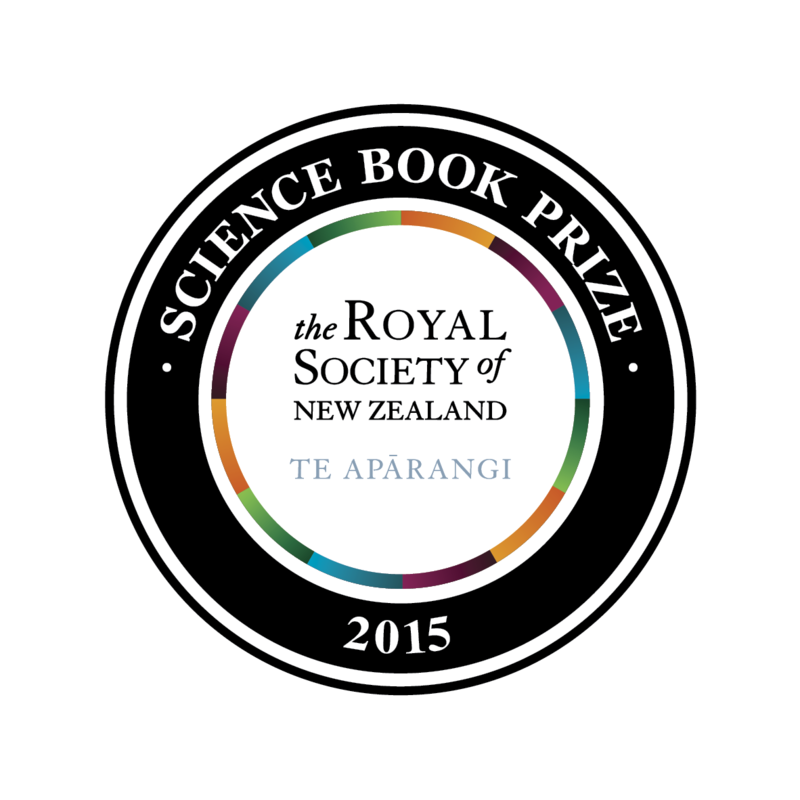 Sciblogs | Does New Zealand need a science book prize? Does New Zealand need a science book prize? On Friday last week, I noticed that the Royal Society of New Zealand’s Science Book Prize was no longer. I don’t recall ever seeing an announcement about it, but the online information about the prize now reads in the past tense, saying the prize “was a biennial book prize to encourage the writing, publishing and reading of accessible popular science books in New Zealand”. So the Science Book Prize has gone the way of the Manhire Prize for Creative Science Writing, which the Royal Society of New Zealand sponsored from 2007 to 2012, as a former prize. What does that mean for science books? If you look at the longlist of the prize the Royal Society now sponsors, it looks like only one of those books would have been eligible for the Science Book Prize, and that’s New Zealand Rivers: an environmental history by Catherine Knight, which as an “environmental history” is also a work of humanities scholarship. The rest of the longlist (and it’s a fabulous longlist, I have no complaints about it) is all humanities: a mix of memoir, history and biography. Science and tech missing out? But this was no surprise to me. If you look at the books that have been on longlists and shortlists or have been winners of our main New Zealand book awards, the humanities are really well represented. Not so science and technology, the two other focuses of the Royal Society. So why don’t science books get shortlisted for the main prizes? We certainly have a much longer and stronger tradition of, for example, accessible history writing than science writing. But I would argue that if we want more and better science writing a dedicated science book prize is a way to encourage it. I was chatting to Kate Hannah on Monday night and she pointed out that another great thing about the Royal Society of New Zealand Science Book Prize was the way it brought together works from different genres: poetry, short stories, novels, illustrated and general non-fiction – they were all eligible so long as they covered science in an interesting and accessible way. When Helen Heath’s book of poetry Graft was shortlisted for the prize in 2013 perhaps this prompted some readers only interested in science to pick up a book of poetry. Surely this is a good thing? The “science” we talk about in science books is not just about “doing” science, it’s also about the planet, all its inhabitants, and the universe we live in which is a pretty huge topic. What’s more, in science, we’re trying to get better at engaging audiences with things that matter to their lives, like climate change, or water quality, and a prize that encourages creative approaches to engaging audiences in science is worthwhile continuing. But of course I’d say that. I was the 2009 winner of the prize and a 2015 judge of the prize, so I have a vested interested in there being a prize I can apply for, and maybe be on the judging panel of again sometime (it was such a pleasure to “have” to read all those great books). Kate and I (and others) are scheming, but what does everyone else think? Does New Zealand need a science book prize? As far as I can tell, the only books on this list that also won prizes at the New Zealand Book Awards were Tangata Whenua: an illustrated history (winner, Illustrated non-fiction 2015), Graft (winner, NZSA Jessie Mackay Best First Book of Poetry, 2013) and Moa: The Life and Death of New Zealand’s Legendary Bird by Quinn Berenson (NZSA E.H. McCormick Best First Book Award for Non-fiction). Dr Rebecca Priestley is a senior lecturer in Science in Society at Victoria University, Wellington. Of course we need a science book prize. At present there is so much ignoring/denying of science material by vested interests in NZ that new ideas are regularly rubbished, or the people offering them are accused of trying to make money. At least a reputable book prize encourages those with different approaches to try to get their views out in a format which is not going to be wrapping fish and chips, or be flung out with the recycling, but may be around long enough to get read. Science books are great, the best ones I have read are a biography on Nikola Tesla and Halton Arps “Quasars, red shift and controversies”. It is outstanding in its presentation of data and facts. It will change your view on relativity based cosmology, it presents more facts and less confusion, and no black holes thank goodness. The more people read it, the sooner relativity goes down.